It is time again for the Secret Recipe Club and this month I was lucky enough to be asked to make recipes from two blogs! The first blog I was assigned was A Tale of One Foodie’s Culinary Adventures. I was really excited when I received this blog again…many of you may remember that I was assigned this blog last month and chose to make her Oat Roasted Pears (click here for my version). Lately I have been scouring the web and cookbooks trying to figure out my holiday menus and one of the categories on my watch-list has been Christmas morning breakfast recipes. 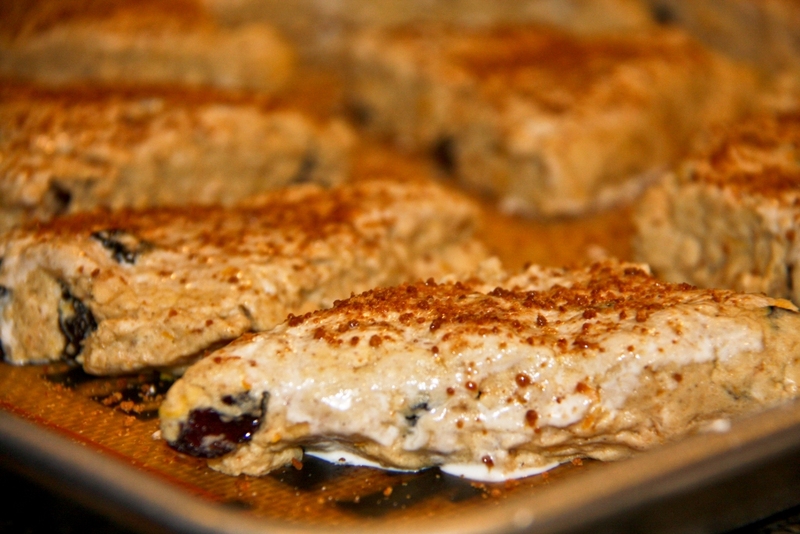 When I saw Erin’s recipe for Cranberry Oat Scones a lightbulb went off in my head…perfect for Christmas morning! I love taking a conventional recipe and veganizing it. I have also been meaning to try Earth Balance’s new Organic Coconut Spread and thought this would be a great opportunity to try their new product. This recipe is definitely more sinful than usual for me, but Christmas morning is truly one of those special occasions you hear me referring to. It is fine to indulge on “occasion”…the problem is that most people use that term too liberally. As for changes to the original recipe, I used a gluten free flour mix (click here for the Gluten Free Goddess’ recipe) instead of conventional wheat flour and upped the amount by 1/4 cup (GFree flour acts differently than wheat, so sometimes the amount needs to be adjusted), coconut sugar instead granulated sugar, eliminated the salt (the coconut spread was salty enough on it’s own), used dried cherries instead of cranberries (that is what I had in my pantry), and used So Delicious Original Coconut Milk Creamer instead of the buttermilk. This recipe veganized beautifully and you would never know that it is gluten free! 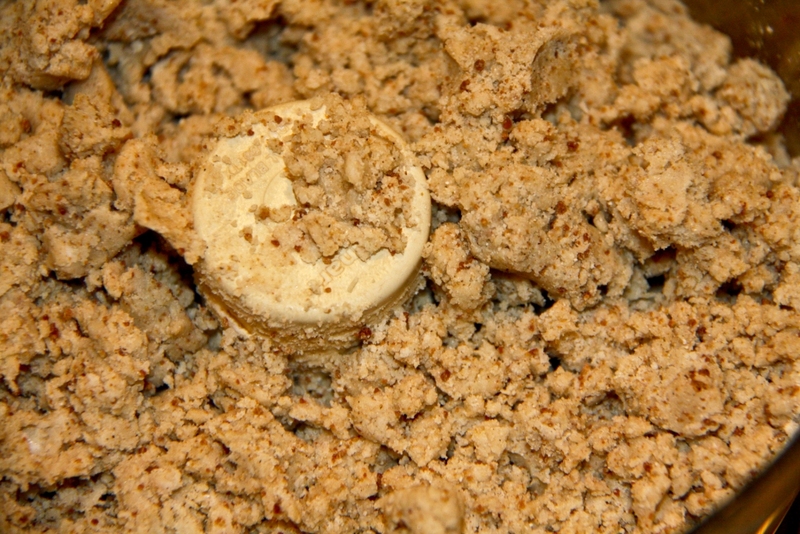 In a food processor, combine the flour, 4 Tbs of coconut sugar, baking powder, baking soda, and salt. 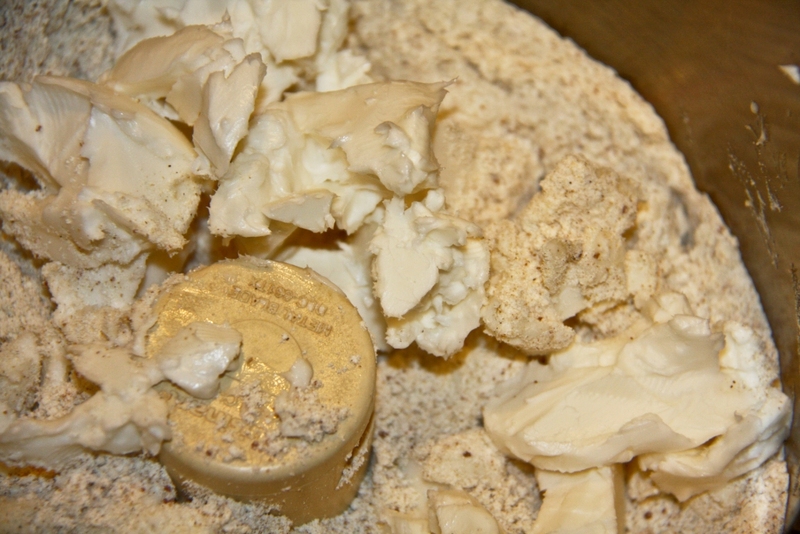 Add the cubed coconut spread and pulse until it is chopped into small pieces and the mixture is crumbly. Pour into a large bowl and stir in the oats and cherries. 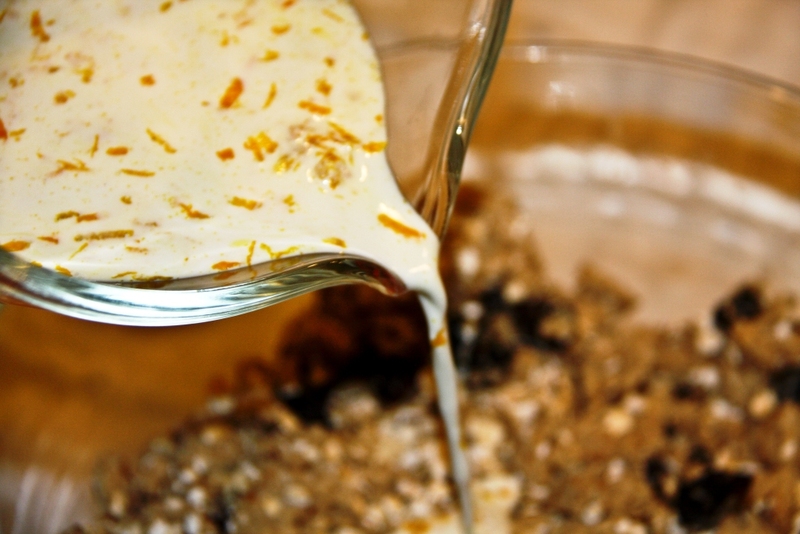 In another bowl, whisk together the orange zest and coconut creamer and add to the dry ingredients. Stir quickly with a fork until the batter begins to cling together. 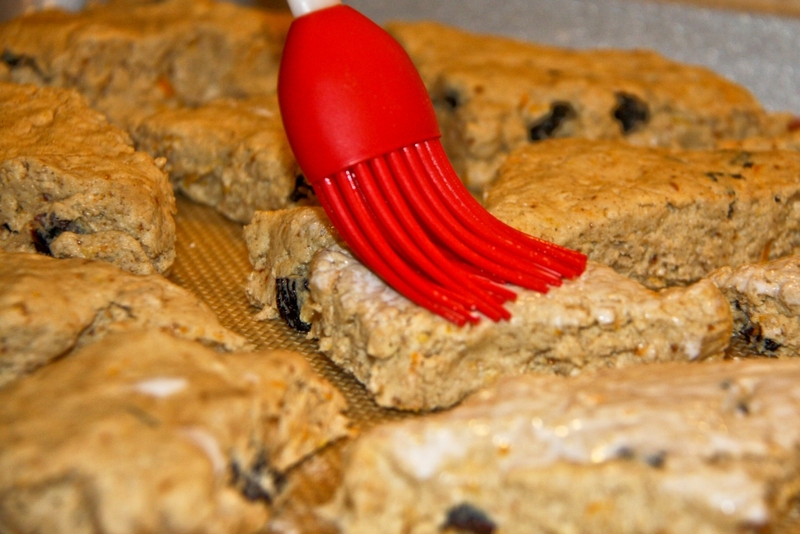 Having made scones before, I knew that the dough in the picture above was too wet and it was at that point that I determined that when making these scones gluten-free it is necessary to add an additional 1/4 cup of gluten free flour mix. 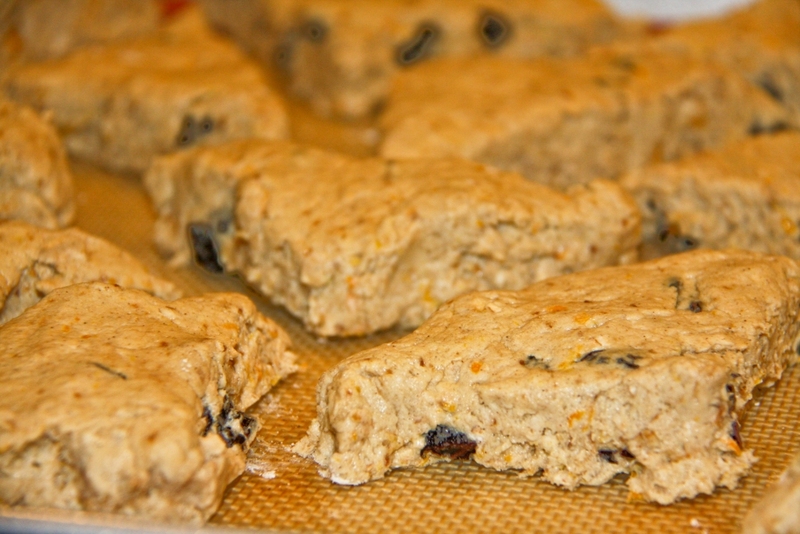 Once I added the additional flour, the scone dough was the perfect consistency. 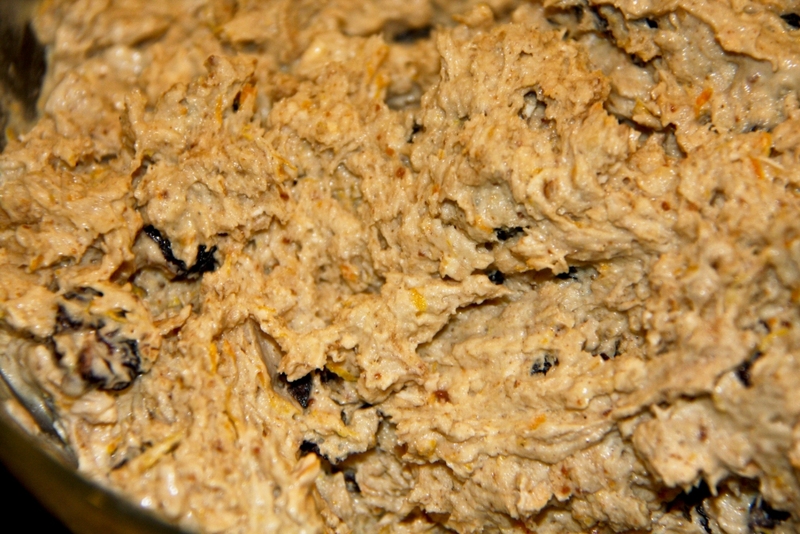 Turn the dough onto a lightly floured surface and gently pat into an 8 inch square about 1 1/2 inches thick. 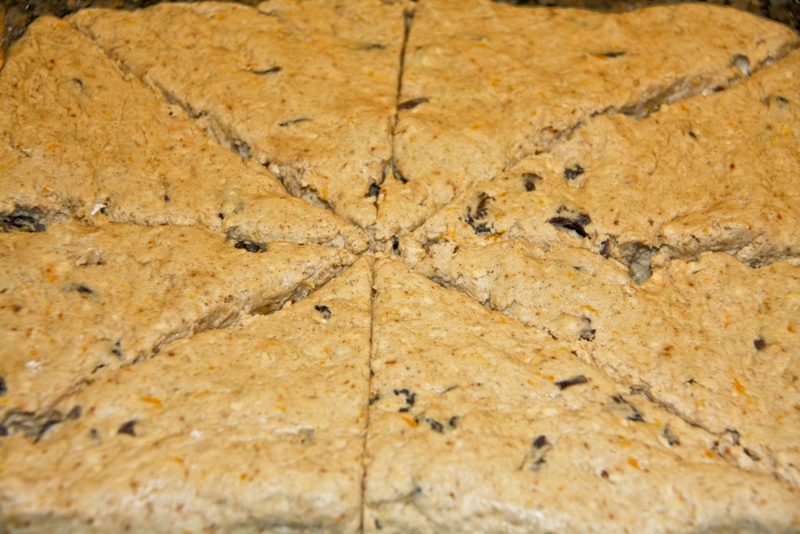 Cut into four 4-inch squares, then slice each square crosswise to make 8 triangular scones (shown below) and cut each triangle in half again to make a total of 16 scones. Set triangles on baking sheet lined with parchment paper or a Silpat sheet (what I used below). Using a pastry brush, lightly brush the tops with coconut creamer and sprinkle the tops with coconut sugar. Bake for 15-18 minutes or until golden (mine took 15), then transfer to cooling rack. I served my scones with Tart Cherry Jelly and the combination of the scones with the jelly was amazing. This will be the perfect Christmas morning treat! Oh my. This is so my kind of recipe. I’d never heard of Earth Balance’s Coconut Spread, but it just went on my shopping list. So anxious to try this. Great SRC pick! 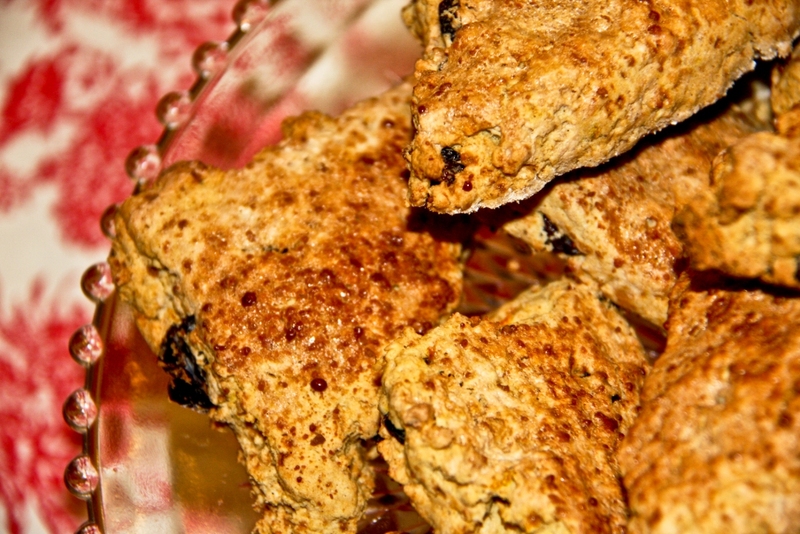 I love scones of any type, the dried cherries are brilliant! You are right~They will be perfect for Christmas morning! Great recipe! How cool that you got the same blog twice. Bet you definitely had your recipe picked out. Both of the picks look great! 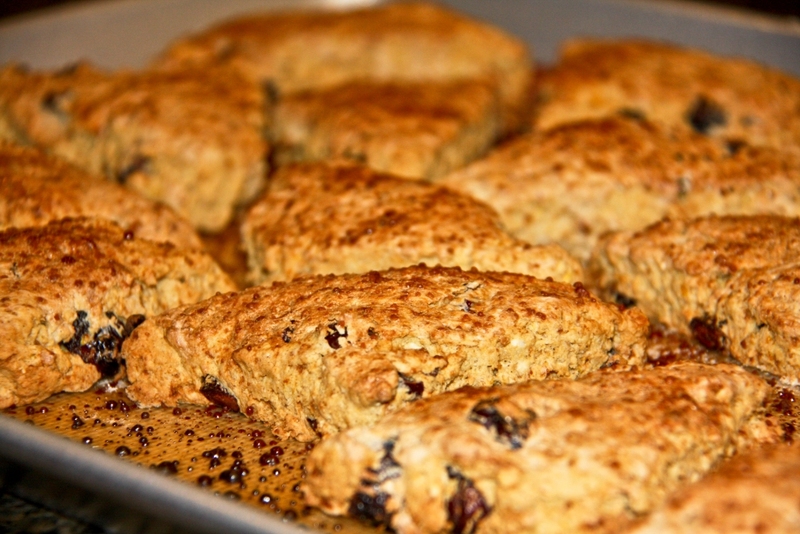 I love scones, I imagine the dried cherries were just fantastic! Wow, what are the chances of getting the same blog twice….in a row?? There are what, 72 of us in group C? I think you picked a winner with this one. 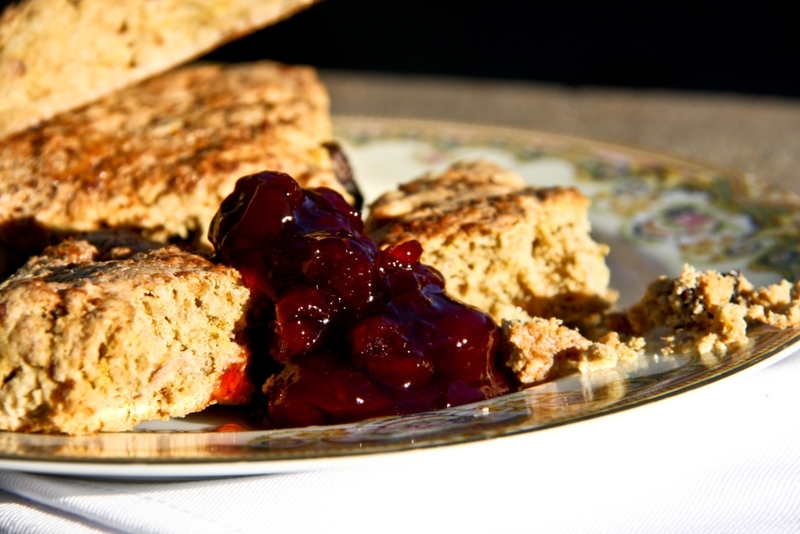 I never met a scone I didn’t like and the idea of oat scones with the tartness of cherries in them sounds fantastic. I don’t have to de-glutenized but I do look forward to making these. Many thanks for sharing a great recipe.